We are the only operators to depart from Ballinskelligs a way point on the Wild Atlantic Way, and the land base of the Skellig Monks. 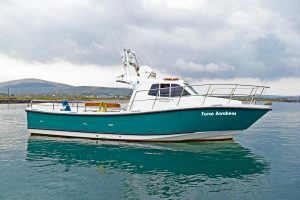 We are departing daily from Ballinskelligs Pier from the 14th of May. Walk the trail the monks may have taken while on Ballinskelligs and then complete the experience by a landing tour to Skellig Michael. Advanced booking for Landing Tours is advisable, places are limited and fill up quickly. 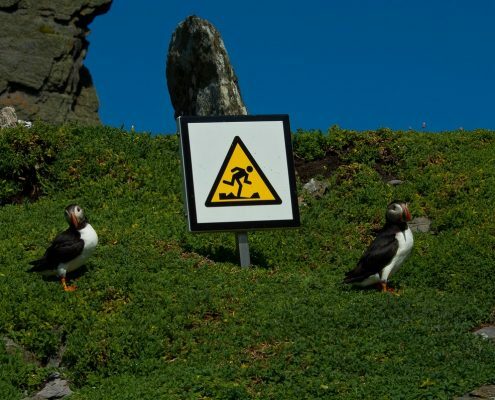 We operate Eco Cruises around both Skellig Islands , this tour is ideal for those who are unable to land on Skellig Michael due to health or other reasons , you can still expeience the force of this island and get to see areas of the island that a landing cruise doesnt allow. 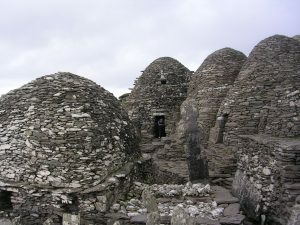 The tour also includes the Gannet santuary of Little Skellig home to thousands of nesting Gannets. This tour departs most day but is subject to weather conditions. 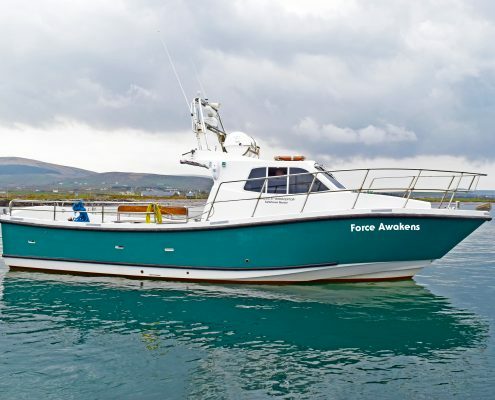 Join the Force Awakens skippers Brendan & David Walsh and Derek Noble and experience the beauty of a Kerry sunrise / Sunset or Dark Sky from the ocean. We offer a unique opportunity for everyone, but especially photographers and artists to see and capture the beauty of our scenery at these magical times. Private Boat hire is available on special request. 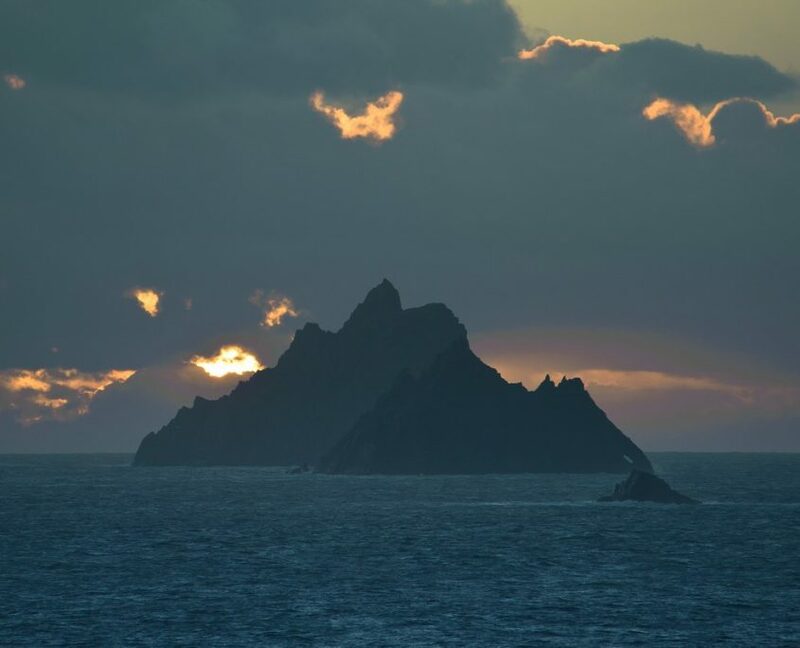 Very nice trip to the Skellig on the Force Awakens. We departed from Ballinskellig Pier (wich is very less crowded than Portmagee) and after the other boats (less people on the island too). The team was very friendly and the boat is nice. Had a wonderful afternoon experience with Brendan on The Force Awakens. Kids and I loved it. Out of this world. 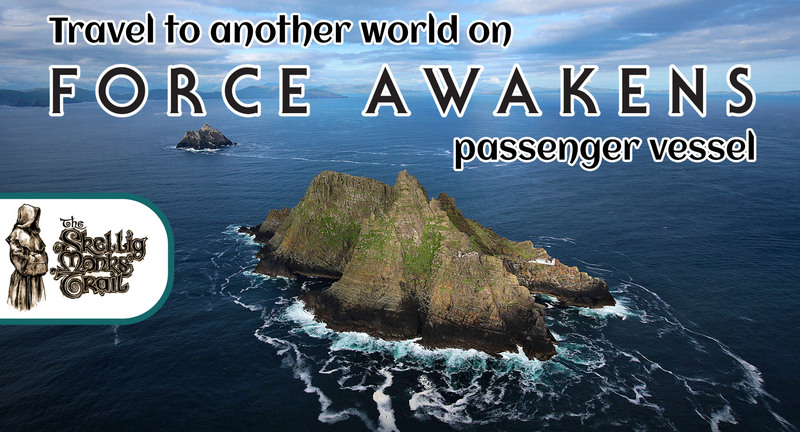 The Force Awakens passenger vessel is a fully licenced and insured that can carry 12 persons, life jackets are provided for all passengers on their voyage for safety. 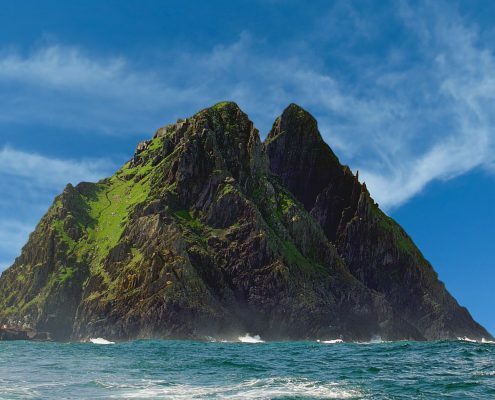 Our Skippers have many years of passenger vessel sailing around these waters including cruises to the Skellig Islands, so you can be assured of a safe and enjoyable cruise. We do not permit the consumption / bringing on board of any alchoholic drinks, this is purely for safety reasons. 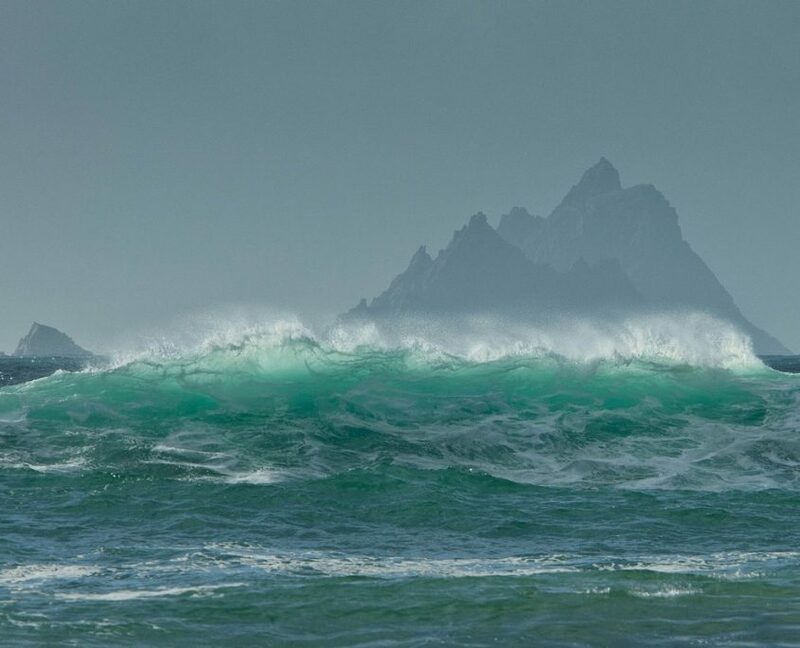 Ballinskelligs is a Wild Atlantic Way point. Note: All landing tours / Eco Cruises are weather permitting.